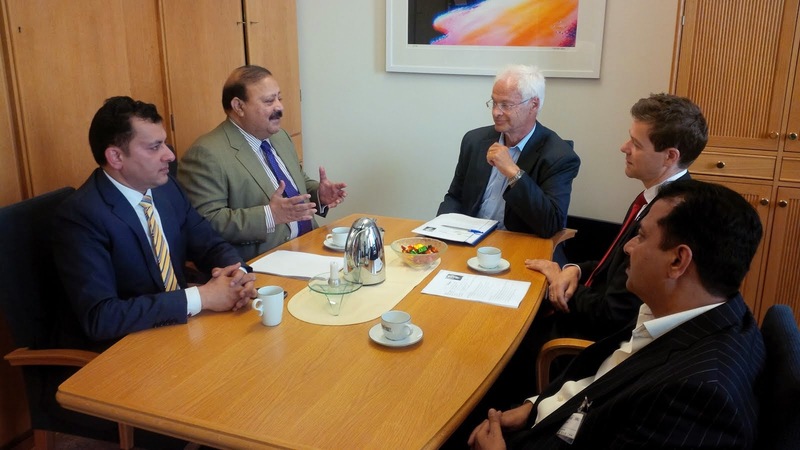 Former AJK PM Barrister Sultan Mahmood Chaudhry and Sardar Ali Shahnawaz Khan Executive Director Kashmir Scandinavian Council meeting with the Mr. Knut Arild Hareide Chairman of Christen Democratic Party and the head of all Party Kashmir Group in Norwegian parliament and Mr. Odd Justin Sæter, party spokesperson. 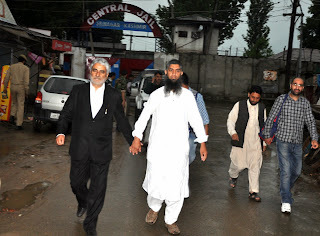 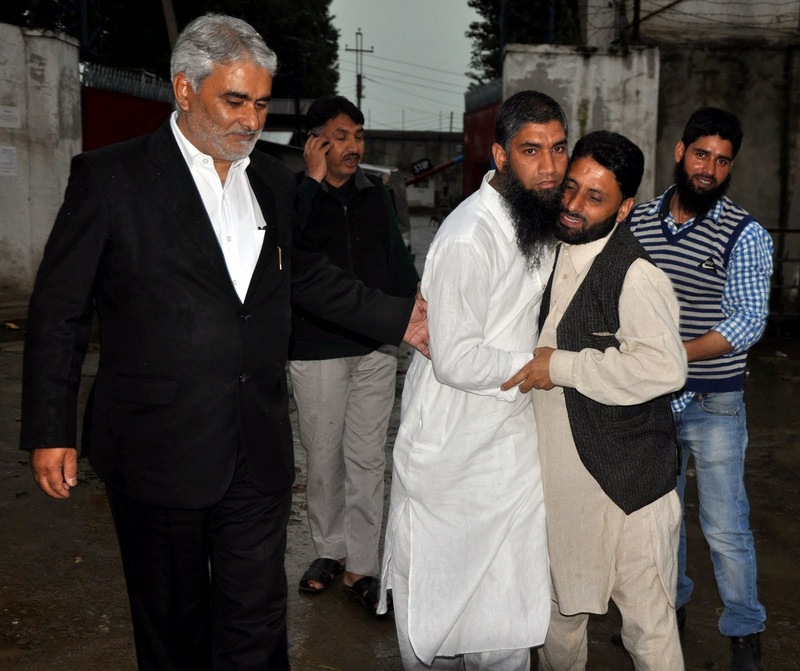 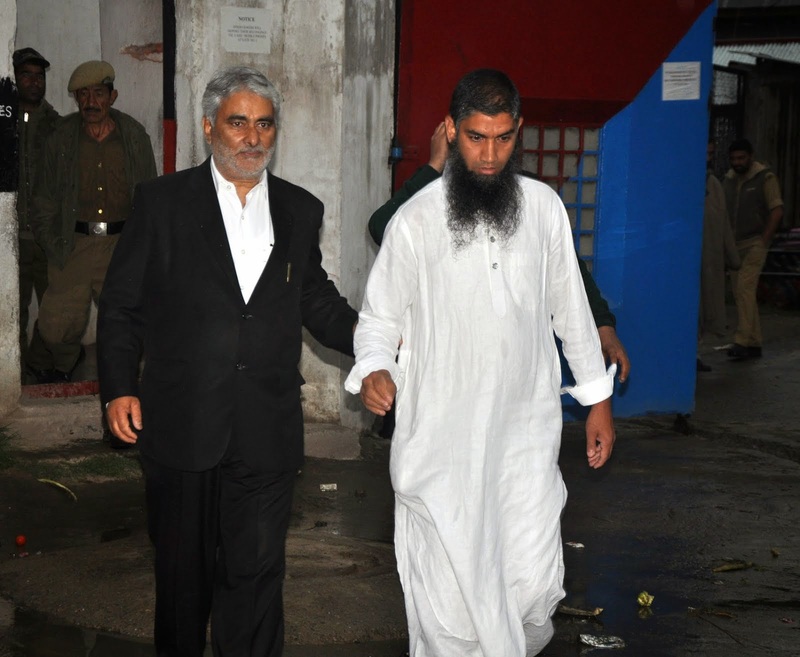 World famous professional protestor Shakeel Ahmed Bhat after release with his Advocate Muhammad Shafi Reshi at Central jail Srinagar, Kashmir. 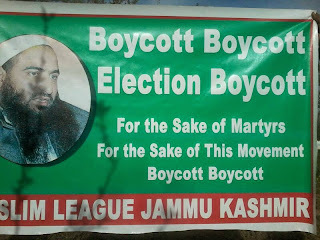 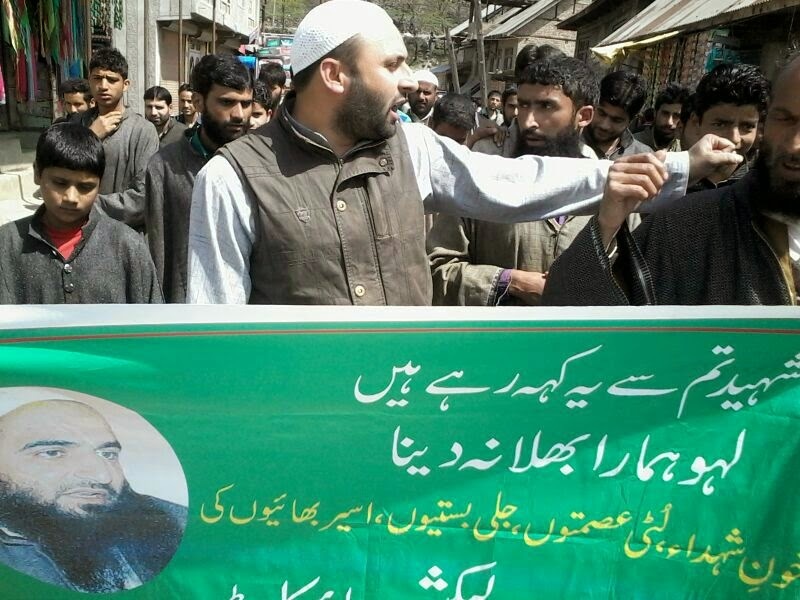 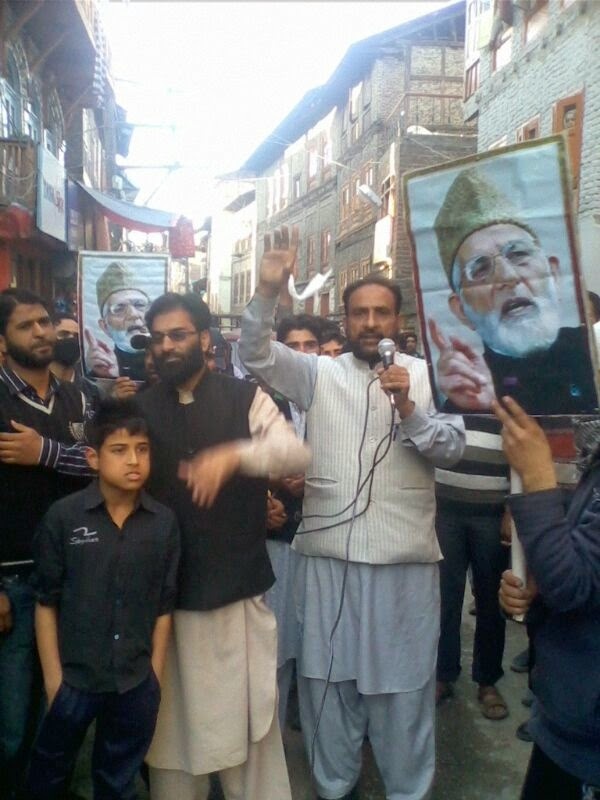 Islamic Political Party distributing election boycott posters in Kashmir.